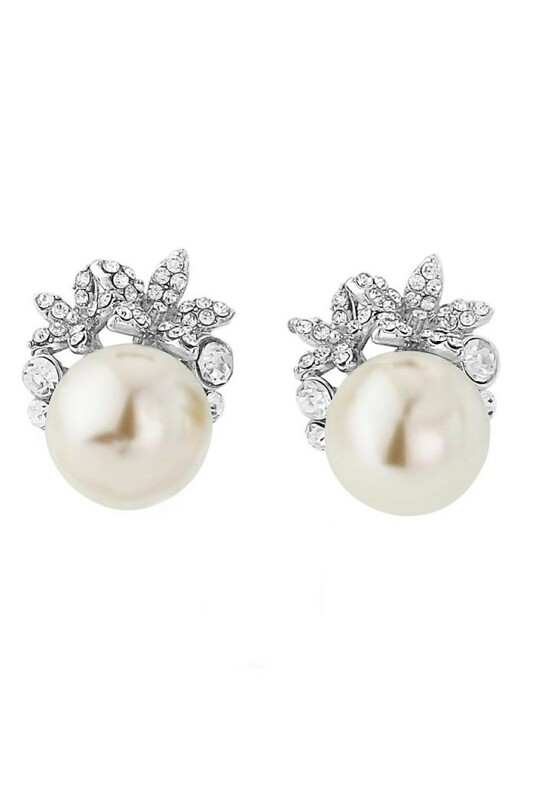 These faux pearl earrings are ivory in tone featuring a frame of silver tone metal leaves with diamante decoration. For pierced ears. These are double disc earrings in silver tone metal featuring tiny filigree circle detailing and a central cut out section. For pierced ears. These are elongated hexagonal earrings in gold tone metal with cut out chevron effect to the lower point. For pierced ears. This is a large silver hair comb with cut out marcasite style design in swirls and ribbons featuring diamante flowers and teardrops and white faux pearl beads. - Gold tone metal earrings in deco fan shape (flapper flirty). - Teardrop diamante decoration (no real tears here though). - Central black glass teardrop stone. - For pierced ears (you lucky ear, you). - Art deco inspired tassel earrings in fan shape (a rainstorm of sparkle). - Dark silver tone metal (for cloudy drama). - Blue gemstone decoration (a dash of deco colour). - For pierced ears. This is a stretch bangle featuring ivory faux pearls in two rows held with a cut out flower in silver metal with diamante decoration and faux pearl centre. - Triple row of faux ivory pearls (never too many pearls). - Silver tone metal centre piece in symmetric, linear design with diamante decoration (Buchanan bliss). - Silver sparkly fabric covering. - Small but perfectly formed curved body (twit twoo). - Gold clasp with diamante decoration, bringing the bling. - Solid gold tone metal handle. - Gold shoulder chain for when carrying is beneath you. - Silver metal deco fans with diamante decoration (all the twinkle, twinkle). - Large faux pearl holding a silver diamante encrusted globe (more bling). - Long fringe of pearl strands (for a statement earring that will never be beat).